and my ever crazy boring life. Really, there's just so much I don't even know where to begin. Let's do a checklist shall we? 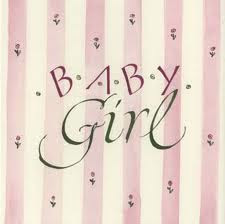 and is now a GIRL!!! Lot's and lot's o' lace, sparkly things, pearls, pink, and bows around this house already. He is about the sweetest thing on the planet. And he LOVED his birthday cake. it was a swim party. He enjoyed the not swimming part. So after a few hours of this I called the Dr. and they said to bring him in. I did and he said it wasn't broken but badly sprained. They put him in this. He thought it was cool for the first.. mm... hour. then they would check it and it may be on for up to a month to 6 weeks. The next morning Isaiah decided he had an agenda all his own. he broke the cast in half. pulled it off and informed me that his leg was better. cause it hasn't bothered him since. Seth got a job at Merrill Lynch. It is part time til' February and then it will become a full time position. They will also pay for his MBA program. wants for us at this time and found a beautiful town home in Orem that we are renting. We love it here and know that the Lord had a hand in this. this becomes more evident to me every day. and I love the feeling of this little lovely growing inside me. February can't get here fast enough.